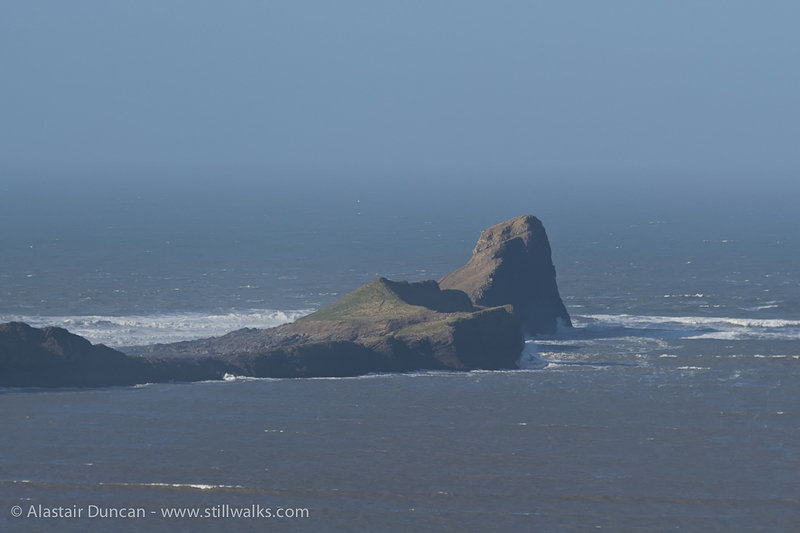 My “story” this week features photos taken earlier this year at a time when the weather was as changeable as it is now in Autumn. 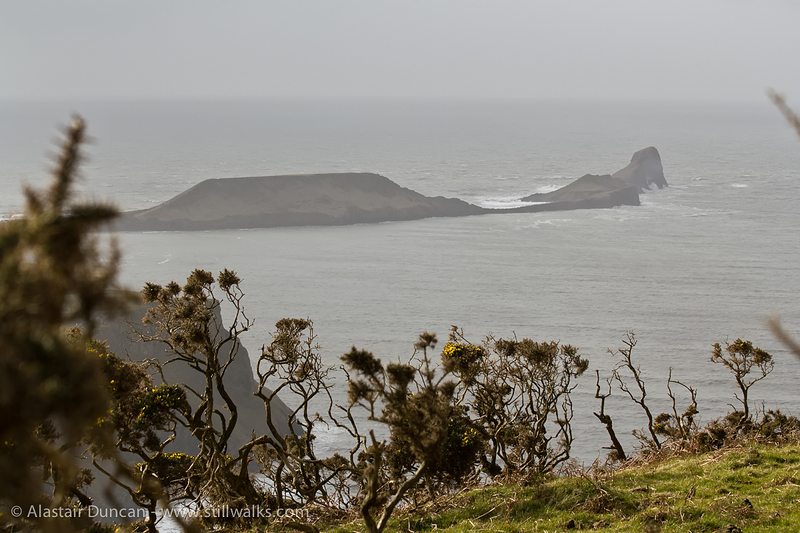 The Worm’s Head, a spit of rock at the end of Gower Peninsula, is seen here from a vantage point up on Rhossili Downs – why are they called Downs? The weather throughout the day, as can be seen below, changed from hazy but bright sunshine to overcast cloud with a threatening mist. At times the colour was strong with a blu sky, at others it almost disappeared, hence the monochrome image at the bottom. 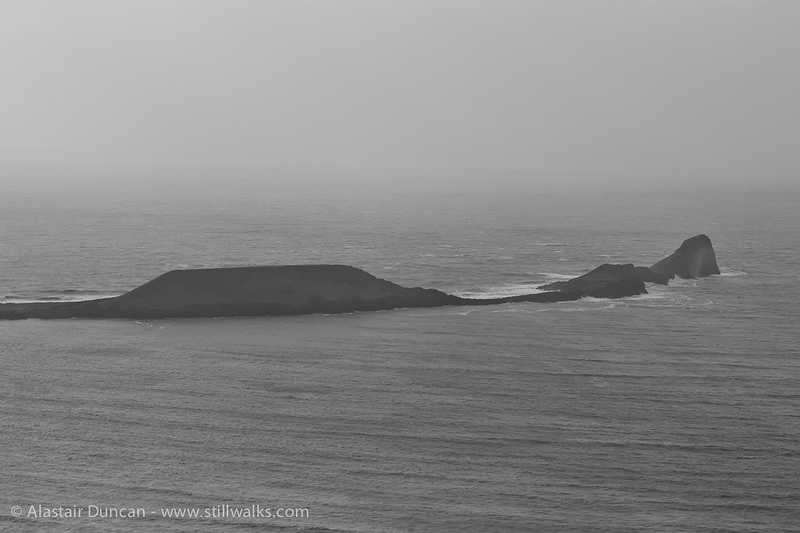 Posted in Landscape, Photography, Travel, Walks and tagged cloud, colour, Gower, Gower Peninsula, landscape, monochrome, photography, Rhossili, Rhossili Downs, seascape, sunshine, wales, weather, Worms Head.